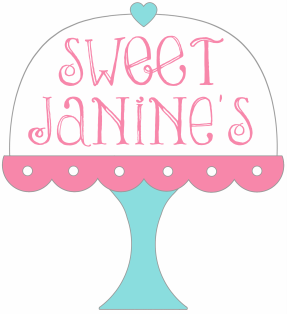 Welcome to Sweet Janine's!! 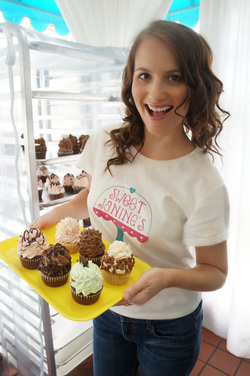 I'm the owner, operator, creator, baker, and Cupcake Queen here at Sweet Janine's. I started cooking & baking at a very young age and I always loved it. I started professionally decorating cakes & pies in high school and my love for baking has continued right through adulthood and become one of my MANY passions. I love to cook and bake anything & everything!! From cakes & steaks to jams & breads to ice cream bombs & casseroles. If it involves food, then I love to make it. Breakfast, lunch and dinner; I love to cook, bake and create it all!! My goal has always been to create delicious & beautiful cakes and cupcakes that taste homemade and not like they came from the grocery store. When you bite into a Sweet Janine's cupcake you'll not only enjoy the cake but the icing too!! There's no chance of having too much cake or too much icing. I strive for perfect proportions in each bite and to keep you coming back for more.